This is usually described as a lighthouse, though clearly it has never "housed" anybody. I thought that the correct term was a beacon, but in fact it is known as a "minor light". 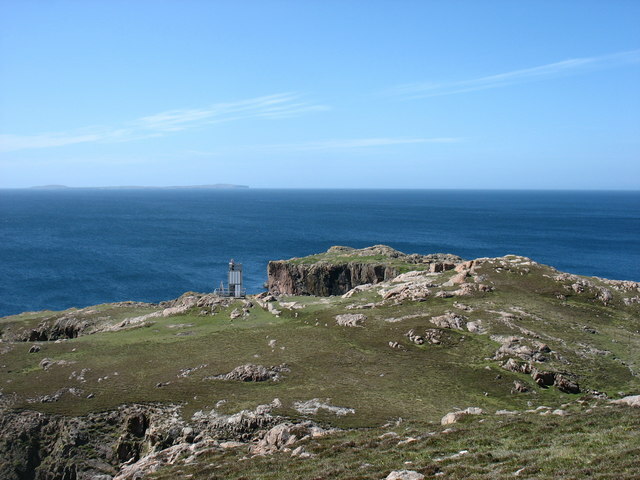 This solar-powered version was installed in 2001, and its predecessor is now on display at Sumburgh Head - see HU4008 : The "minor light" from Muckle Roe. The island of Papa Stour can be seen on the horizon, left.